Serving independent growers and grower shippers with affordable, high quality certified organic planting stock. Historically, organic strawberry growers have purchased 100% of their annual plant stock from conventional plant nurseries that use synthetic chemicals for pre-plant soil fumigation, as well as for subsequent disease and pest control of the crop throughout the growing season. 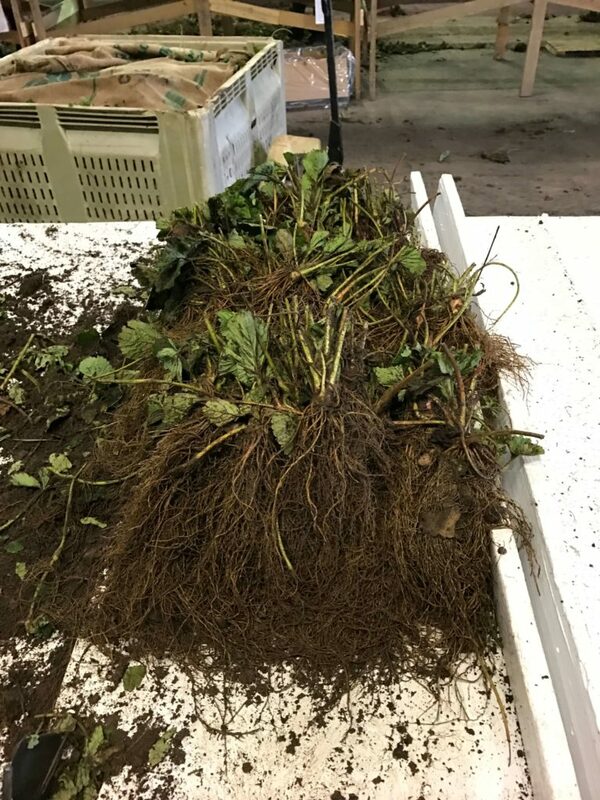 Organic growers have not had the option to use organic strawberry plant nursery stock in their fruiting fields because a viable organic nursery making such plants available to the market has not been available until now. In January of 2016, James Rickert and Daniel Nelson perceived the organic strawberry industry was ripe for change. 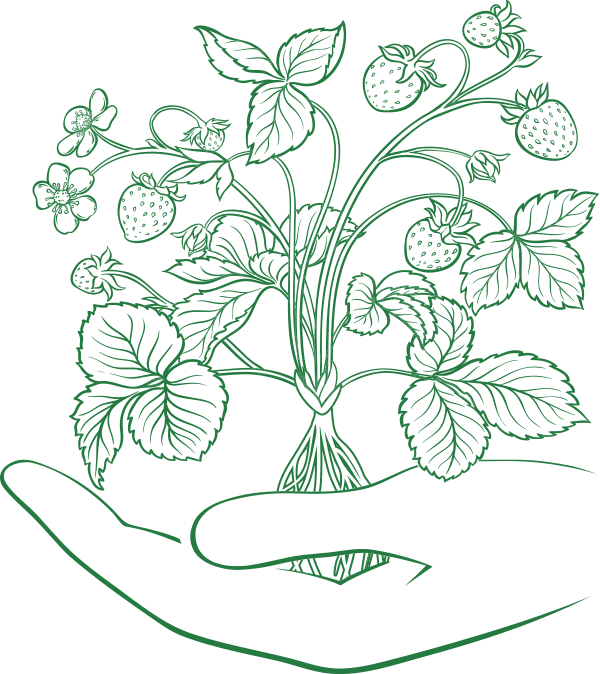 With organic growers and marketers committed to changing the source of their plants, coupled with a perceived increase in consumer consciousness about where their food is sourced from and how it is grown, James and Daniel teamed up to start the first and only organic strawberry transplant nursery with plants available to all organic growers. Hence, Innovative Organic Nursery, LLC (ION) was born. ION is committed to serving all growers and grower-shippers with affordable, high-quality, certified-organic planting stock. James is a Certified General real estate appraiser and Realtor at Western Ag Real Estate, an agricultural appraisal, real estate and consulting company serving Northern California and Southern Oregon. James has also worked on the management team with his family’s business, Prather Ranch, for over a decade. Prather Ranch is a vertically integrated livestock and hay operation that encompasses over 40,000 acres from Colusa County to Siskiyou County. James graduated from Cal Poly, San Luis Obispo with a degree in horticultural crop science, and a minor in plant protection science in 2002. James is also a 2010 graduate of the California Agricultural Leadership Program. 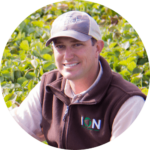 Daniel is the vice president and chief business officer at Plant Sciences, Inc. (PSI), a strawberry breeding and genetic company based in Watsonville, California. Daniel oversees business development, customer relationship advancement, and the international efforts of the organization and all of its entities. Daniel is also responsible for the financial planning and management of the Black Angus herd at Izee Ranch, based in Eastern Oregon. Daniel completed studies in agricultural business with a concentration in international agribusiness from Cal Poly, San Luis Obispo in 2008. He then went on to complete a master’s degree in agricultural economics from Purdue University and earned an MBA from Indiana University in 2012. 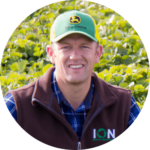 ION has developed a high-quality, proprietary production protocol using only leading organic technology in the areas of fertility, pest and disease control and farm ground management. ION intends to bring only high-quality plants to market, offering its customers every advantage in the marketplace. Active at both high and low elevation, ION has ground already transitioned to organic status and ready to work. ION is currently transitioning more and more ground at both high and low elevation, with the goal of serving an expanded organic industry in the years ahead. ION has the opportunity to serve the leading producers of organic strawberries in the industry. ION is committed to providing its growers with a lasting and sustainable solution for organic strawberry transplants and is making important steps each day to see this become a reality. Albion is a day-neutral (ever-bearing) cultivar with chilling requirements and planting date requirements very similar to Diamante. Albion has very good flavor due to its high sugar content. The variety is resistant to Verticillium wilt, Phytophthora crown rot and relatively resistant to Anthracnose crown rot. The old standard for the Southern California winter production and canning industry, Chandler continues to be the “go to” variety for roadside strawberry stands and backyard gardeners, as well as many commercial growers in the southeast. Chandler produces semi-early, deliciously-sweet fruit. Fruit size is medium to large and fruit is medium in firmness. Chandler performs well in the east and is well adapted to the south. Fronteras is a short-day variety that is highly productive and has large, conical fruit. The variety is grown where Ventana, Benicia or Camarosa are produced. Fronteras is moderately or highly resistant to Verticillium, Fusarium, and Phytophthora. Preliminary trials indicate that Fronteras has substantial resistance to Macrophomina. It has good resistance to powdery mildew and seems tolerant of spider mites. Monterey is moderate in day-neutrality, slightly stronger flowering than Albion, with a similar production pattern. It is a vigorous plant and may require slightly more space than Albion. The fruit produced by Monterey is slightly larger but less firm than that of Albion. Post-harvest traits for Monterey are similar to those for Albion. Monterey has outstanding flavor with a distinct sweet aftertaste that is unique among California cultivars. Monterey has a good disease resistance profile, although it is susceptible to powdery mildew; this disease will require close control by fruit growers in order to farm this cultivar successfully. San Andreas is a moderate day-neutral with a production pattern very similar to Albion. 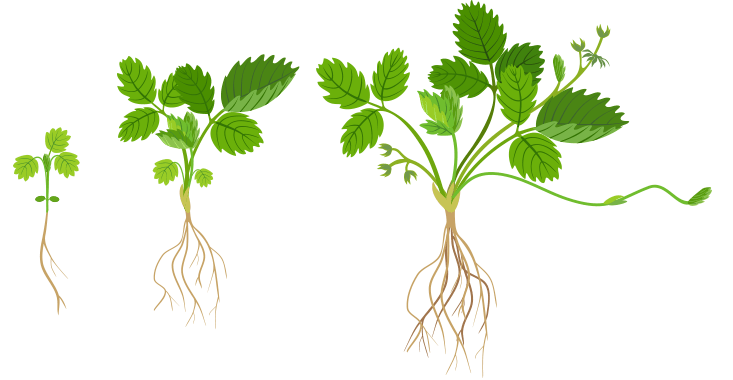 Plant vigor for San Andreas is somewhat higher than for Albion early in the season but plant size throughout the fruiting season is similar to Albion due to its high and consistent productivity. This cultivar produces few runners in the fruiting field. The fruit for San Andreas is exceptional in appearance and especially superior to Albion early in the season. San Andreas has a good disease resistance profile with no outstanding cautions. 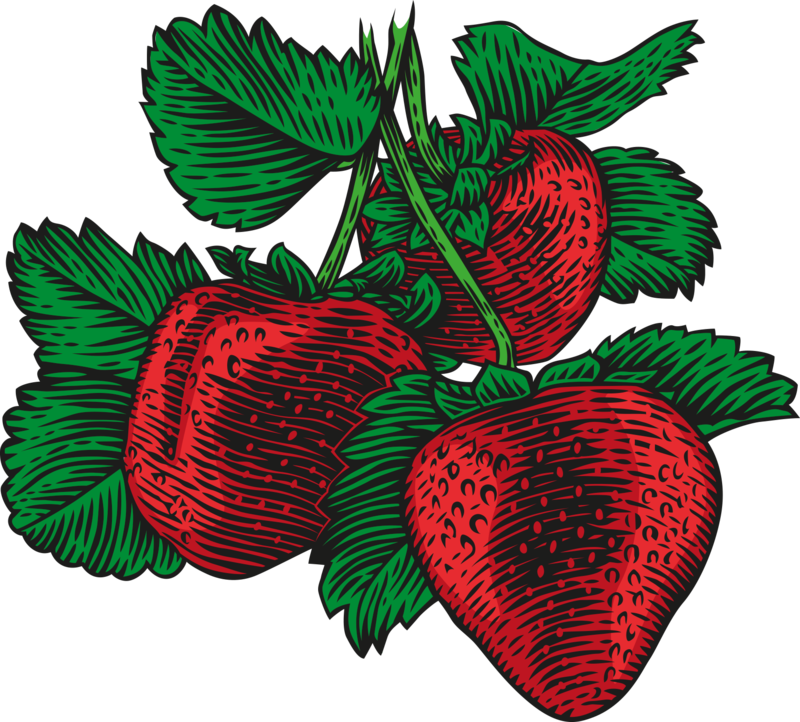 ION is licensed to produce many of the leading proprietary strawberry varieties in the marketplace. This is in collaboration with companies who have their own varieties they desire to have available organically from ION. ION is committed to making the most reliable varieties for organic production available to organic strawberry growers. Click the button below for more information about some of the varieties offered by ION. All rights reserved, ION Innovative Organic Nursery LLC 2019.